The new Music Stories features will let Facebook users listen to a 30-second song preview from music streaming services. The final verdict: Which Macworld staffers are keeping Apple Music? Earlier this year, we dispelled the rumors that Facebook might be building its own music streaming service. Now we have more details about a partnership—not a rivalry—that has been in the works. 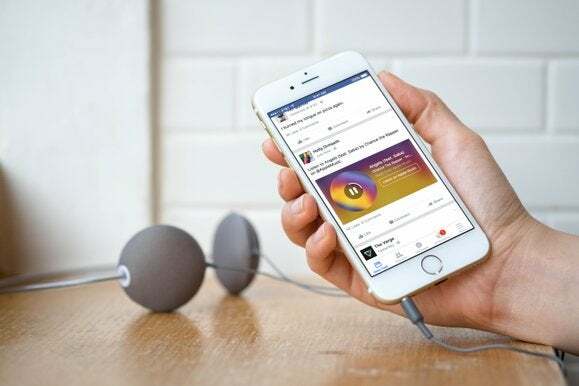 On Thursday, Facebook announced Music Stories, a new feature that lets Facebook users share a 30-second song clip from Apple Music or Spotify directly in their News Feeds using the Facebook iOS app. Now any song clip you share from those streaming services will generate a playable widget with album art and a link to listen to the full track on Apple Music or Spotify. To share a song, copy the song link from Apple Music or Spotify, and then paste it within your Facebook status update. Once you post it, the link will automatically become a playable widget. Tapping on a music post starts the 30-second preview, which displays a spinning disc resembling an old-school vinyl record. As with any Facebook post, you can like, comment, and share these Music Stories. “The preview is streamed from either Apple Music or Spotify (depending on the source of the link shared), and can be purchased from or saved to the respective music streaming service,” Facebook director of product Michael Cerda wrote on the official Facebook blog. According to Cerda, Facebook is looking to expand Music Stories playable link support to other streaming services in the near future. But for now, Rdio, Tidal, and Google Play Music subscribers are going to have to wait. Facebook did not mention in the announcement whether this new playable feature would be coming to its Android app. However, we’ve only been able to grab the embed code from songs that have already been embedded somewhere else first. No embed code share option is yet available within Apple Music’s platform itself. Making songs, albums, and playlists embeddable across the web would make Apple’s streaming service more like Soundcloud and less like Spotify. You can currently embed music from Spotify on the web, but you need the Spotify desktop app running in the background for the tracks to start playing. It seems that with Apple Music embeds, you don’t need iTunes or even a subscription to listen.